COOK pasta as directed on package, omitting salt. Meanwhile, cook spinach as directed on package; drain well. Place in large bowl. Add cream cheese; stir until melted. Stir in cottage cheese and eggs. DRAIN pasta. Add to spinach mixture with the mozzarella; mix lightly. 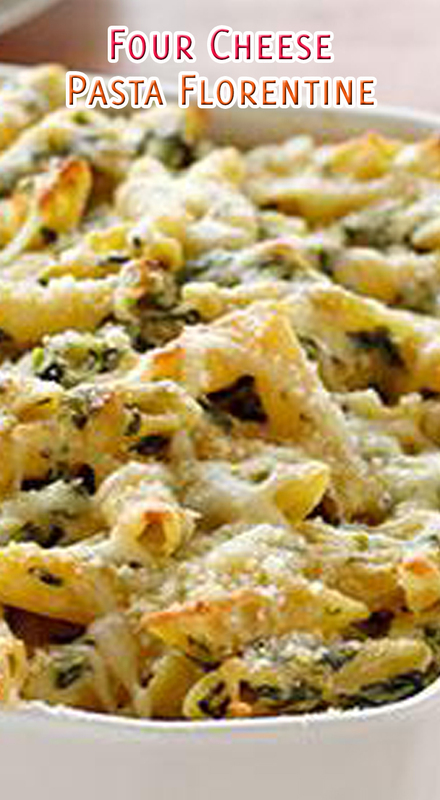 SPOON into 8- or 9-inch square baking dish; top with Parmesan.